In United States v. Davey, 2016 U.S. App. LEXIS 16519 (4th Cir. 2016) (unpublished), here, Davey was convicted of "for conspiracy to commit wire fraud, conspiracy to commit money laundering, and tax evasion." The gravamen of the case was the nontax charges, with the tax charge in the indictment, proper, but added on for good measure. (I am not sure that it would have stood as a separately prosecuted tax crime, but what do I know about that?) I separate out the tax crime to discuss here, but in the ambiance of the trial the tax crime conviction may have been influenced by the other convictions. There were two issues raised regarding the tax conviction. Davey argued that (i) the judge had erred in excluding evidence (specifically his 2009 tax return); and (ii) evidence was insufficient to establish guilt of the crime alleged. I will address this after first stating the facts as I understand them from the discussion. One of the most significant personal expenses Defendant funded with DCS investor money was the construction of a $2 million, 10,000-square-foot personal home. To channel money from DCS towards the construction of his home, Defendant created two additional entities: "Sovereign Grace" and "Shiloh Estates." Essentially, Defendant transferred funds, in the form of purported "loans," from DCS to Sovereign Grace, and then from Sovereign Grace to Shiloh Estates, the legal owner of the home and direct funder of its construction. J.A. 291-98, 513. Those "loans" had no recognized interest rates, no payment schedules, no associated liens, and no loan documentation. In late 2008, Defendant informed Barry McFerren, his brother-in-law and business associate, that he intended to default on the loans, and Defendant did so in 2009. Defendant identified $810,000 as a "loan" on his 2008 tax return, an amount corresponding to purported loan payments to Shiloh Estates in that year. J.A. 516-17. The key additional fact, related to his reporting the arrangement as a loan on his 2008 return, is that he had reported a default on the loan on his 2009 return, with resulting COD income. Defendant's final argument contesting an evidentiary ruling relates to his conviction for tax evasion. At trial, the government sought to show that Defendant evaded taxes by falsely characterizing $810,000 in payments from Sovereign Grace to Shiloh Estates-the entity that funded the construction of his home-as a "loan" on his 2008 tax return. Defendant contends the district court erred by excluding his 2009 tax return, which reported the defaulted "loan" as taxable income in 2009. He argues that this evidence tends to disprove his intent to evade taxes in 2008. The government's theory of the case, however, was that Defendant mischaracterized the payment as a loan in 2008, and that this mischaracterization was itself a willful attempt to evade income taxes. Consequently, the relevant intent was Defendant's intent to repay-or not repay-the loan amount at the time he received it. See United States v. Pomponio, 563 F.2d 659, 662-63 (4th Cir. 1977) (explaining that the "principal question" relevant to a tax evasion prosecution based on mischaracterized loan payments is whether those payments "were not [actually] loans, that is, that no intent to repay them existed, and that the defendants knew they were not loans"). That one year later Defendant defaulted on the loan, recognized it as income, and paid taxes on it tends to reinforce, rather than undermine, the government's argument that Defendant did not intend to repay the "loan" when he received it. In short, the district court did not abuse its discretion in excluding the 2009 tax return for lack of relevance. JAT Comment: The issue was whether the arrangement was a loan in the first instance. If the arrangement was not a loan, it could not be defaulted in 2009. Yet, the Court says this (perhaps not paying attention to what it was saying): "That one year later Defendant defaulted on the loan, recognized it as income, and paid taxes on it tends to reinforce, rather than undermine, the government's argument that Defendant did not intend to repay the 'loan' when he received it." Maybe that is just a semantical miscue, but in criminal cases, semantics are important. The Court does in the sufficiency discussion below refer to it as a "purported loan." But, certainly, at least in my mind, Davey's actual reporting of the arrangement as a loan and default in 2009 is relevant to the issue of whether he intended it as a loan in 2008. It may be self-serving but that does not make it irrelevant. I can't imagine why the district court excluded the return or why the Court of Appeals affirmed the exclusion on the basis of irrelevance. It seems to me that, particularly based on the sufficiency of the evidence discussion (below), the better ground for affirmance was that, in the context of all the evidence, even if not excluded, it would not have affected the jury verdict. I include the entire discussion except the boiler plate at the beginning because I have a bone to pick with it as well (bold face supplied by JAT). The relevant criminal provision, 26 U.S.C. § 7201, makes it a felony to "willfully attempt in any manner to evade or defeat any tax imposed by [the Internal Revenue Code]." To establish Section 7201 tax evasion, the government must show "1) that the defendant acted willfully; 2) that the defendant committed an affirmative act that constituted an attempted evasion of tax payments; and 3) that a substantial tax deficiency existed." United States v. Wilson, 118 F.3d 228, 236 (4th Cir. 1997); see also Sansone v. United States, 380 U.S. 343, 351, 85 S. Ct. 1004, 13 L. Ed. 2d 882 (1965). "The jury may infer a 'willful attempt' from 'any conduct having the likely effect of misleading or concealing.'" Wilson, 118 F.3d at 236 (quoting United States v. Goodyear, 649 F.2d 226, 228 (4th Cir. 1981)). Here, as discussed above, the government theorized that Defendant falsely characterized the $810,000 he transferred from Sovereign Grace to Shiloh Estates as a loan on his 2008 tax return in order to avoid paying taxes on that amount in that year. It is settled law that what defines a true loan is "the taxpayer's own intention to repay" the loan amount. Pomponio, 563 F.2d at 662; see also Comm'r of Internal Revenue v. Tufts, 461 U.S. 300, 307, 103 S. Ct. 1826, 75 L. Ed. 2d 863 (1983) ("When a taxpayer receives a loan, he incurs an obligation to repay that loan at some future date. Because of this obligation, the loan proceeds do not qualify as income to the taxpayer. "); United States v. Beavers, 756 F.3d 1044, 1057 (7th Cir. 2014) (explaining that "loan proceeds are not income because the taxpayer has incurred a genuine obligation to repay the loan" and that "the recipient must actually intend to repay" for a transaction to qualify as a loan). In answering that question, both direct evidence of intent and circumstantial evidence regarding the nature of the transaction are relevant. See id. at 663 (finding sufficient evidence that various advances were not loans where there was no fixed repayment date, no notes evidencing the debt, no security backing it, and no interest charged or paid on the amount); see also Merck & Co. v. United States, 652 F.3d 475, 481 (3d Cir. 2011) ("[D]etermining whether a transaction qualifies as a loan requires analysis both of the objective characteristics of the transaction and of the parties' intentions."). The government introduced direct and circumstantial evidence that Defendant did not intend to repay the $810,000 transfer when he received it, and therefore that the transaction was taxable income, rather than a loan. Barry McFerren, Defendant's brother-in-law and employee, testified that in the fall of 2008 Defendant said that he intended from the beginning to default on the purported loan, i.e., not to repay it. Defendant did in fact default on the purported loan in December 2009. Lynn Wymer, Defendant's accountant, testified that, to her knowledge, there was no interest rate governing the purported loan, no loan document, no repayment schedule, no loan payments made, and no lien securing it. Tyiesha Nixon, an IRS investigator, similarly testified that, after examining Defendant's tax returns, accounting records, and other related financial documents, she found no loan documents, nothing indicating an interest rate on the purported loan, no schedule of payments, and no lien securing it. In short, there was sufficient evidence that Defendant falsely characterized the $810,000 transfer as a loan on his 2008 tax return. Because jurors "may infer a 'willful attempt' from 'any conduct having the likely effect of misleading or concealing,'" Wilson, 118 F.3d at 236 (quoting Goodyear, 649 F.2d at 228), there also was sufficient evidence that Defendant attempted to evade the payment of taxes in 2008. We therefore affirm the district court's denial of Defendant's motion for acquittal on the tax evasion count. JAT Comment: Focus on the bold-face portion. I have questioned before what I perceive as the sloppy use of the term "tax deficiency" as the element of the tax evasion crime. See e.g., Is the Spies Element for Evasion (i) Tax Deficiency or (ii) the Criminal Tax Number? (Federal Tax Crimes 9/17/13), here. For a fuller discussion, see John A. Townsend, Criminal Tax Sentencing: Fairness and Deterrrence: Tax Evaded in the Federal Tax Crimes Sentencing Process and Beyond, 59 Vill. L. Rev. 599 (2014), here. "Tax deficiency" in a tax evasion case is merely an improper shorthand for the tax due and owing or tax evaded element of the crime of tax evasion. The reason it is an improper shorthand is that "tax deficiency" is a term of art in the civil tax area. And in Daveys in particular, Davey was contesting that there was a tax due and owing or tax evaded in the sense that Spies defined that element of the tax crime. It is true that the Court gets better focused in the following part of the paragraph, but that does not excuse its laxity in saying that Davey did not contest the "tax deficiency" which it described as an element of the crime. I will say again that, despite its more recent use by the Supreme Court and other courts, careful courts and lawyers should go back to the historic term -- tax due and owing which criminal lawyers do not equate to tax deficiency or tax evaded which makes the point clear. 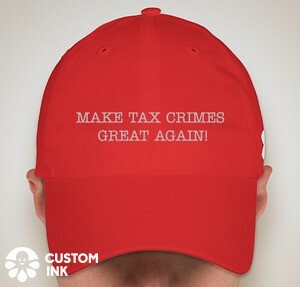 Concluding comment: Overall, he was guilty of the principal crimes (the nontax crimes), they justified the punishment he received, he is likely guilty of the tax crime, let's move on. That is perhaps a bit cynical. But so be it.